With all the recent retrogrades happening you may have noticed the past resurfacing into the present in order to be cleared. When a planet goes retrograde, it allows us to revisit old feelings, thoughts and behaviors in order to re-work them and identify what needs to be changed and what needs to be released. We currently have 4 planets in retrograde, which means that this energy is stronger than ever. It seems that the Universe is really encouraging us to make peace with the past. The past can definitely be a teacher, but when we continue to live in the past or hold on to it, all it does it stop us from being able to move forward. When you are truly present, when you are truly in the moment, the past is resolved and healed on its own, but many people struggle to constantly be in a state of zen like presence. Healing the past is truly about making peace with it through acceptance and through understanding that the past is really nothing more than a memory. This is not to say the past can’t be trusted, but often the past is fogged with emotions and misguided truths. Essentially, the past doesn’t exist in the now, so anyway you look at it, it is not rooted in reality. If you have felt any of these areas present themselves to you during this time, it could be that there is something in your past that needs to be cleared and released in order for you to move forward. This is a very therapeutic and deep exercise that requires you to pen a letter to your past self, explaining to your past self what events are to come. In many ways this letter is going to make you a type of teacher or guardian that is going to explain to your former self what events are coming and how best to deal with them. The letter should be encouraging and loving, and should include all the things you wish someone said to you before this event occurred. This exercise allows you to step in and heal that former self, that wounded self that you are still carrying around from the past. Find a calm, quiet place and start taking a few deep breaths just to clear the mind. When you feel ready, take a deep breath and as you exhale imagine the past being released from the body with your breath. Take as many breaths as you need to help you feel that the past is exhaled from your body. You may also want to visualise the past being released as you breathe. If you feel that your past issues go so much deeper than this lifetime, why not try doing some past life regression therapy. You can find more detailed instructions for this here. With so many planets in retrograde up until the end of June 2016, the Universe is really giving you plenty of opportunities to heal and release the past in whatever way feels right to you. Tune into this energy, tune into what your soul needs during this time, and follow your own Divine guidance. Set the intention of healing and releasing the past, and then watch the journey unfold. The past can be a valuable teacher, but it serves no benefit if we hold on to it and keep repeating the same events over and over in our minds. The past is simply the shell of who we once were and although this is a beautiful thing, eventually we need to allow the shell to melt into the ground where it belongs. 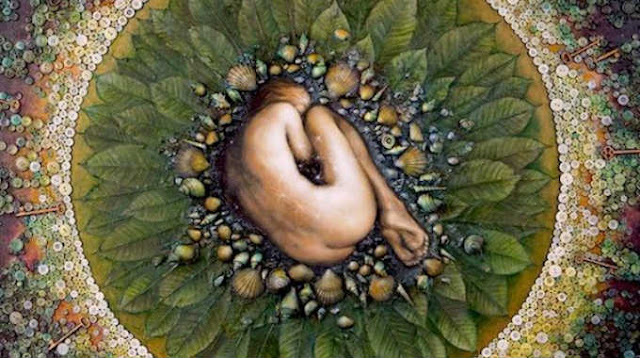 When we have planetary energy like this, the Universe is helping us to shed our skin, to release our shell in order to get closer to the truth of who we are.